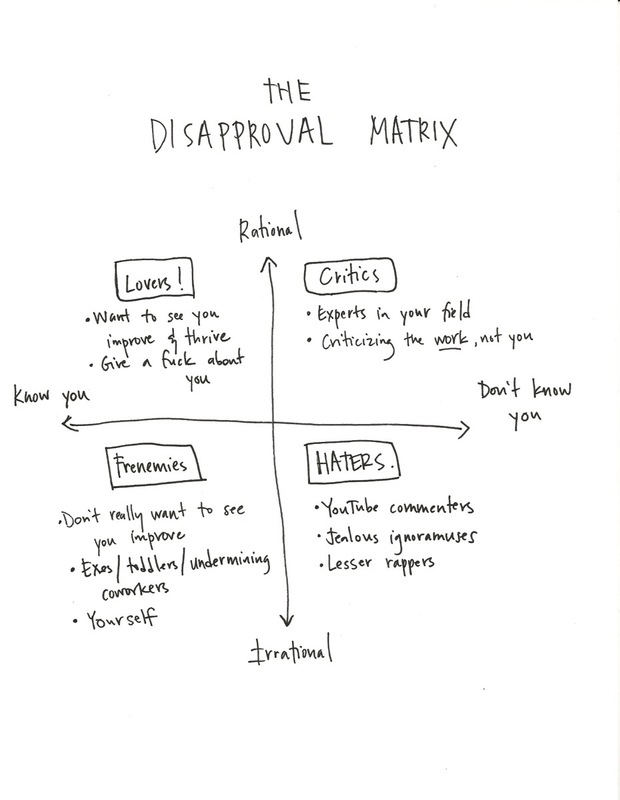 Journalist Ann Friedman created this excellent graphic, which she calls the “Disapproval Matrix.” It helps determine how you should deal with criticism based on who’s giving it. The general rule of thumb? When you receive negative feedback that falls into one of the top two quadrants—from experts or people who care about you who are engaging with and rationally critiquing your work—you should probably take their comments to heart. When you receive negative feedback that falls into the bottom two quadrants, you should just let it roll off your back and just keep doin’ you.